Talking with a hauler of oversized loads and he was lamenting how rates on the moving the big stuff has dropped in recent weeks. Well, the same holds true for loads of fresh fruits and vegetables, although this is fairly predictable this time of the year when total praoduce volume across the country is much lower than during it’s summer peak. Still, if you haul perishables, the western states are the place to be doing it — especially with this being the last full week before Christmas. Washington state apples continue to be shipped in record amounts with about 3,200 truckload equivalents being loaded per week from the Yakima and Wenatchee valleys…..A little further south in Washington’s Columbia Basin and the nearby Umatilla Basin in Oregon, both potatoes and onions are being shipped, although in much lesser volume than with Washington’s apples. The Columbia and Umatilla basins are loading about 400 truckloads of potatoes and around 750 truckloads of onions per week. The Yuma district in Arizona is likely your best bet when it comes to winter vegetables. This desert area is shipping Iceberg lettuce, romaine, broccoli and cauliflower, among other items. Between these four veggies, the total truck loads are around 2,500 of per week. Idaho potatoes are another big mover from the Western states. There are about 1,750 truckload equivalents of spuds being shipped on a weekly basis. The state needs to sell a lot of potatoes to pay for their sponsorship and ads related to the recent Famous Idaho Potato Bowl! USA potato loads will be up eight percent over a year ago when this season ends around August. The 991,500 acres of spuds is six percent more than athe previous season. 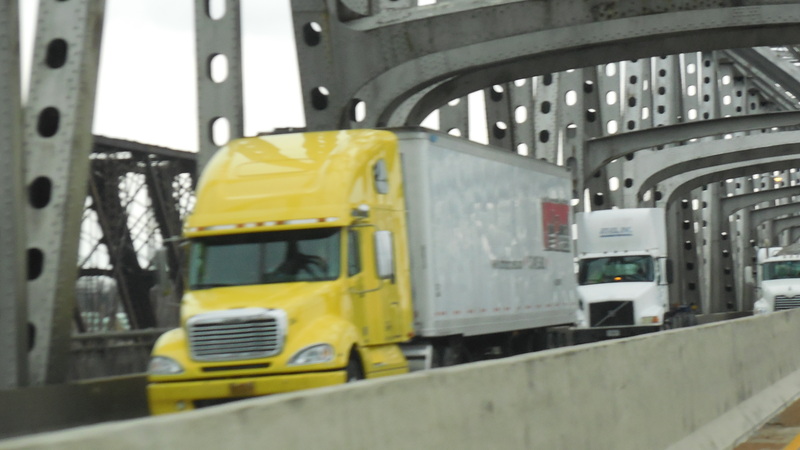 Of course, Idaho shipments easily lead all other states, but there are significant loadings available in Washington state, Oregon, Wisconsin, the Red River Valley of North Dakota and Minnesota, among others. Idaho is shipping about 1750 truckload equivalents of potatoes per week, although a greater percentage is shipped by rail than most other spud production areas….By contrast, Colorado’s San Luis Valley is moving about 1000 loads per week, all by truck. Central and southern areas of Georgia are loading collards, kale, mustard and turnip tops for the holidays. Loads of greens should continue from Georgia into March or April, depending on the weather. Broccoli also is being shipped. While Chilean grapes are starting to arrive in the USA anytime now, it will be late January before good volume and loading opportunities are available at USA ports. Grapes arriving at such ports as Wilmington, NC; Philadelphia, and Long Beach, CA are shipped throughout the states and into Canada, with volume expected to top last year. Georgia vegetables – grossing about $2800 to Boston. Colorado potatoes – about $2000 to San Antonio. Strawberry shipments from the Plant City, FL area have been underway for more than a month, but only in very light volume. This is changing as available loads will show significant increases by December 10, and be in big volume around December 15-20. Central Florida also has very light volume with cherry, grape, roma and green tomatoes. The area also is shipping variety of vegetables. However, this overall is seasonally a very light volume period for Florida. Expect multiple pickups to involved with most loads. You may even have to fill out the trailer from those Florida pick ups with a few pallets of cabbage, greens or broccoli from Southern Georgia. In fact, the whole Eastern seaboard extending into the Northeast and New England doesn’t hold a lot of volume, but sometimes something is better than nothing. In eastern growing areas of North Carolina, the biggest volume is with sweet potatoes, not necessarily known for paying the best freight rates…..In upstate New York, Orange County is shipping storage onions, while central and western areas are loading cabbage. New York apples were hit pretty hard by freezing weather earlier this year, especially from western and central shipping points. Even the Hudson Valley did not escape the freeze, although it came out better than the rest of the state. In northern Maine, Aroostoock County is shipping around 150 truck loads of potatoes a week. Maine potatoes – grossing about $1700 to New York City. North Carolina sweet potatoes – about $1500 to Atlanta. Florida vegetables and strawberries – about $2600 to Boston. This is Thanksgiving week and transportation needs and availability tend to get a little funky, or unpreditable. Thanksgiving shipments have pretty much taken place, so the greatest need for trucks is expected to come as receivers relpinsh stocks following the long holidayweekend. The New York and Michigan apple industries got clobbered this season by bad weather, and shipments are expected to remain at record levels from both the Yakima Valley and Wenachee Valley. The 2012-13 crop year – 121.5 million boxes could be shipped. A breakdown by apple variety, also shows in millions of boxes, the following: Red Delicious/32.986; Golden Delicious/11.384; Granny Smith/11.163; Fuji/14.796; Gala/19.915; Braeburn/2.031; Jonagold/0.79; Cameo/0.618; Cripps Pink/2.81; Honeycrisp/2.95; and others/2.982. As of November 1st, approximately 19.1 million boxes of apples had been shipped. As of the same date in 2011, approximately 14.6 million boxes had been loaded. During 2010, that number was 14.2 million boxes. Through early November, Northwest growers had shipped 31 percent of the 2012-13 crop, up from 25% at the same time last year. The 19.2 million boxes expected this year are down from last year’s 20.5 million-box record crop, but overall shipments should be right at the five-year average. Washington state also is a major shipper of potatoes and onions, with the vast majority of loads originating from the Columbia Basin and extending into the Umatilla Basin of Oregon. 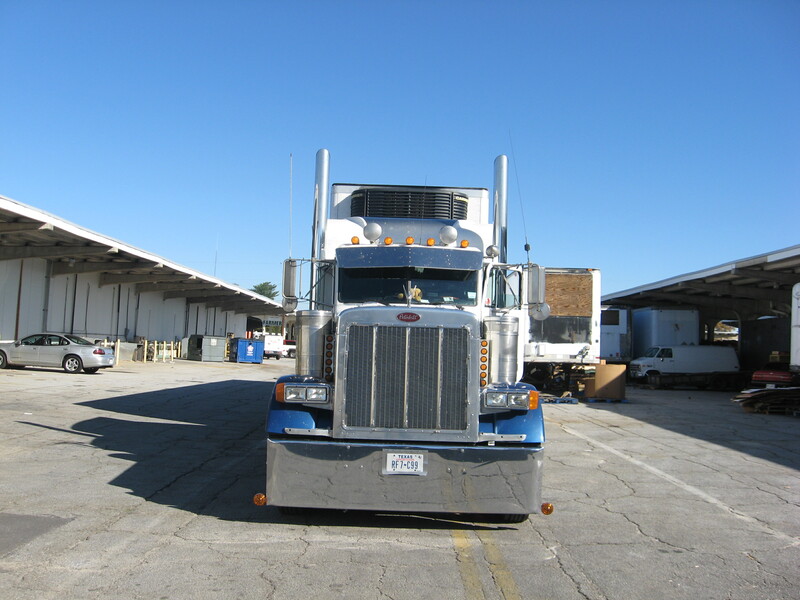 This area combined is accounting for nearly 750 truck load equivalents of onions on a weekly basis, and another 500 truck load equivalents of potatoes each week. 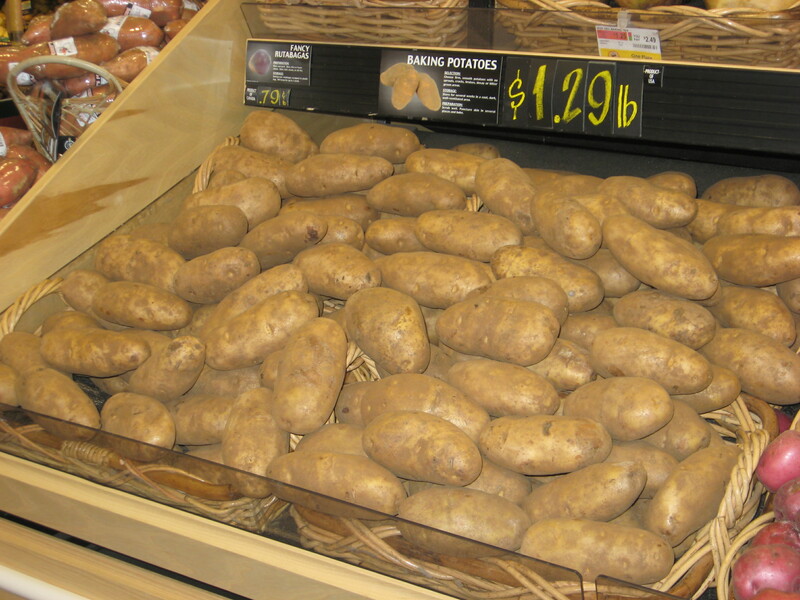 Washington state potatoes and onions – grossing about $6200 to Atlanta. Washington state apples and pears – about $5400 to New York City. California Navel orange shipments for the 2012-13 season is estimated at 93 million cartons (40-pound equivalent) statewide and 90 million cartons for the San Joaquin Valley, according to the USDA. While shipments for California Navels should be heavy, it will probably be short of a record. The record was hit in the 2010-11 season, when the Central Valley alone produced 93 million cartons, and up 6 percent from the 2011-12 loads. The first shipments took place in early November. Red potato shipments out of North Dakota and Minnesota are nearly 35 percent head of loadings through October than they were during he same fall period a year ago. Red River Valley fresh potato shipments are expected to be the largest since 2008. The total USA potato volume is estimated to be at least 12 million hundredweight larger than a year ago. The North American Potato Market news is reporting that average daily shipments of russets has dropped 0.6 percent compared to last year while daily red shipments increased 18 percent. Texas citrus season is in full swing, and shipping has begun for grapefruit and oranges. The USDA forecast for the 2012 – 2013 Texas citrus season is 2.8 million cartons of oranges and 10.6 million cartons of grapefruit. Moderate shipments of watermelons from Mexico will continue crossing the border into Nogales, AZ through the end of the year. Overall Mexican fruit and vegetable crossing at Nogales are seasonally light, but the will change in Janaury as a host of produce items will be increasing in volume.